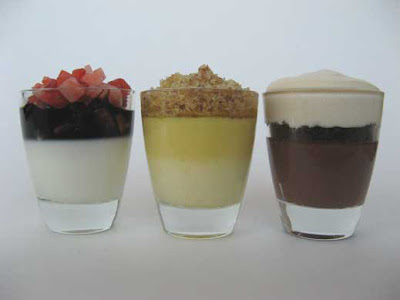 Last week I experimented by making a trio of parfaits in mini shot glasses. 1. Vanilla bean panna cotta with fig balsamic and diced strawberries. 2. White chocolate creme brulee, a layer of orange creme brulee and a pecan praline topping. 3. Chocolate pots de creme with crushed chocolate wafers and a layer of carmel mousse. Posted by Sam at 11:11 p.m.
All three sound fabulous, send some this way! Love the layering, a fantastic way to serve these, they look awesome! Hi Sam - I love making miniature versions of delicious treats - making tiny versions in shot glasses is a fantastic idea. Your parfaits all sound so tempting! Hi Sam!I bought just yesterday 6 nice glasses to start trying all these so promoted layer desserts... would you pass me the caramel mousse? please? please? Hi Sam - What is the ratio of balsamic vinegar to figs for your vanilla bean panna cotta with figs balsamic and diced strawberries? 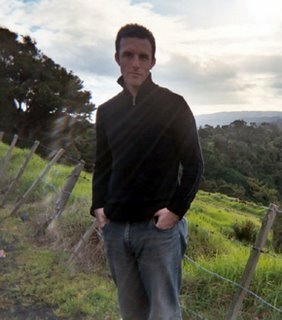 I have just come across your blog and am slowly reading through your archive. I hope you enjoy your new life in Vancouver. This looks amazing! What time you have to make such beautiful, thoughtful treats.